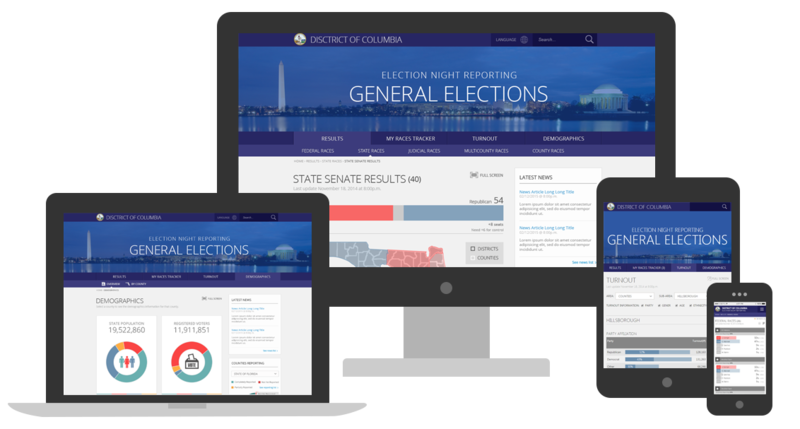 As the Senior Designer at Scytl I was tasked with re-designing the company's Election Night Reporting website in conjunction with a fellow UX Designer's proposed prototype. The biggest obstacle I faced was to redesigning a product that the clients loved with a more modern look and feel without losing its core functionality. After extensive research and revamps of the proposed prototype, I designed a fully responsive website (with whom the company's freelance web developer built out), that takes mundane information and portrays it in a more appealing manner in an effort to engage its users.